For dogs, having fun matters a lot, especially since they can get so easily bored. That is why choosing the right dog toys is important. It is important to provide your furry friend with suitable toys, so that he can maintain an adequate amount of physical activity. Otherwise, you will also risk him becoming overweight and suffering from additional health problems. 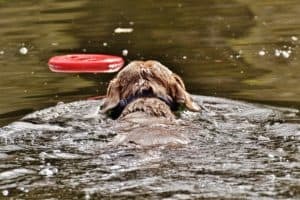 Choosing a toy for your dog might seem like a simple thing but there are a lot of factors to weigh in. 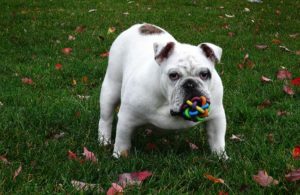 Keep in mind that a toy should serve as entertainment but also stimulate your dog’s learning abilities. 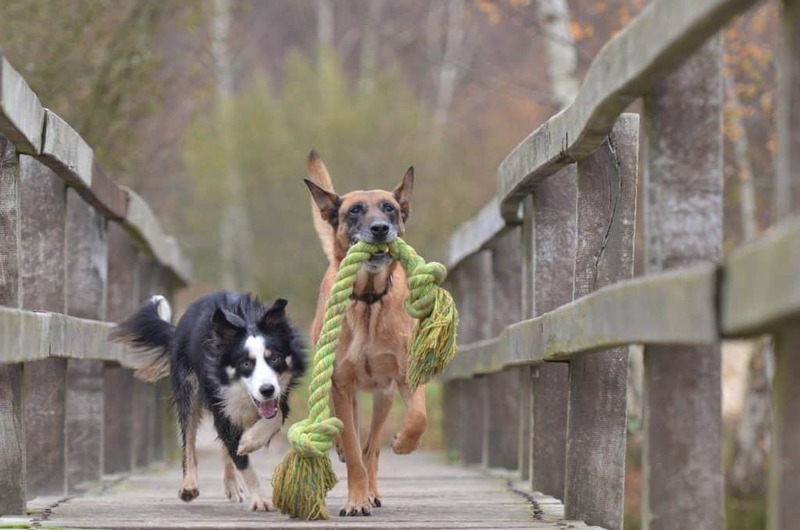 You can opt for toys that the dog will use on his own or choose interactive ones, as these allow you to play together and form an unbreakable bond. 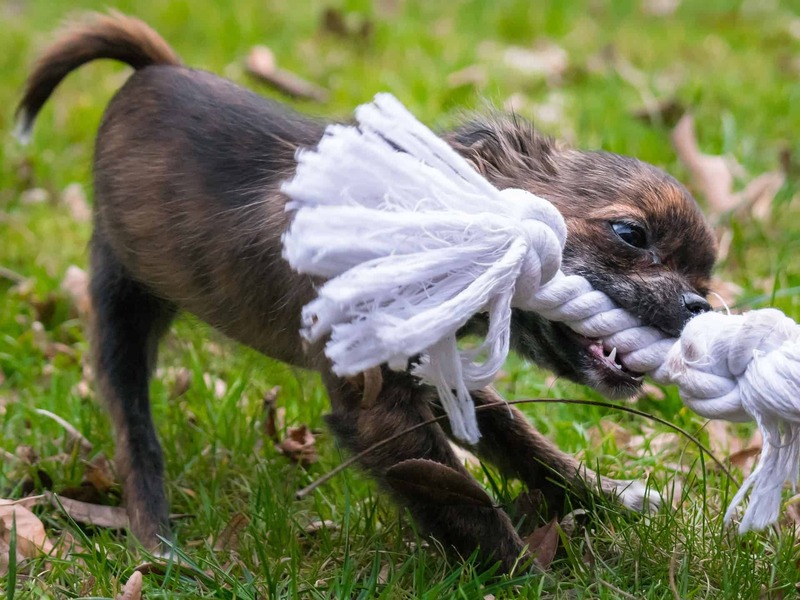 In selecting toys for dogs, you need to consider those that are harder to destroy. These should be made from long-lasting materials, such as nylon and rubber. It is essential to understand that such toys are safer than soft one. The soft toys are suitable only for small puppies, being made from vinyl or latex. Once you have purchased the desired indestructible toys, you might want to perform an inspection on them from time to time. Make sure that your dog has not bitten off large chunks and throw away any damaged toys. In making a purchase, avoid toys with potentially-harmful components, such as lead, arsenic or mercury. You need to consider the size of your dog’s mouth before purchasing any toy. If the toy is too small, it can be swallowed and lead to intestinal obstruction. On the other hand, if it is too large, the dog won’t enjoy playing with it and there is always the risk of large chunks being broken off. You cannot purchase a toy without taking your dog’s personality into account. Cuddly toys are never suitable for dogs who like to chew on things, or have a more active personality. On the other hand, a dog with an anxious personality will never like squeaky or loud toys. Consider what your pet would enjoy first. Perhaps this is one of the most important elements to consider. As mentioned, a puppy requires soft toys, especially during the teething period (harder toys can cause damage). 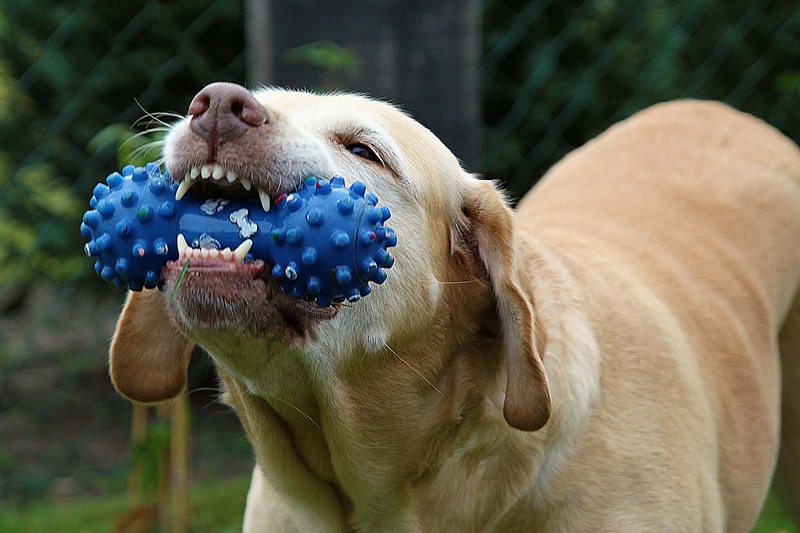 An adult dog requires however harder toys, which can resist the eventual chewing. Soft toys might also represent a good option for senior dogs, whose jaws are no longer strong enough for chewing on hard toys. 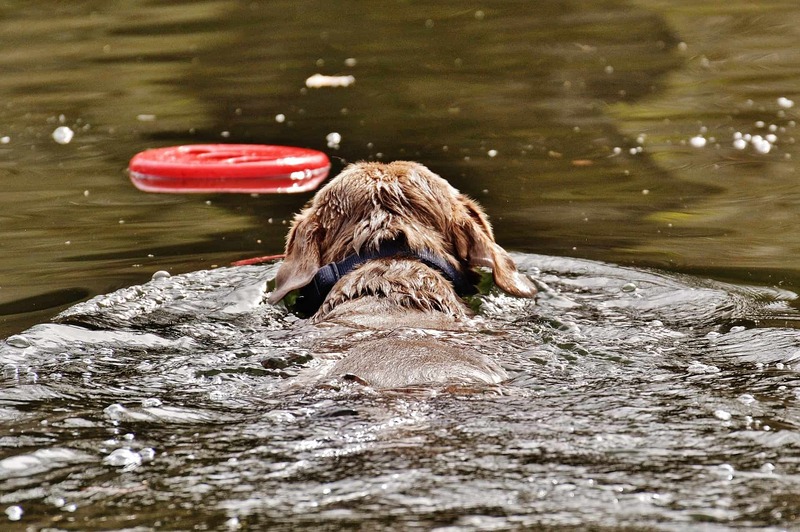 You should always purchase toys that your dog will enjoy, being safe and free of choking hazards. Pay attention to the materials from which the toys are made and avoid those made exclusively from plastic, as these often contain toxic ingredients. Take your time to play with your dog, as your furry friend will definitely enjoy this bonding experience. And, remember, you should only choose toys that are suited to his unique personality.